See-saws and teeter totters, in a classic design. 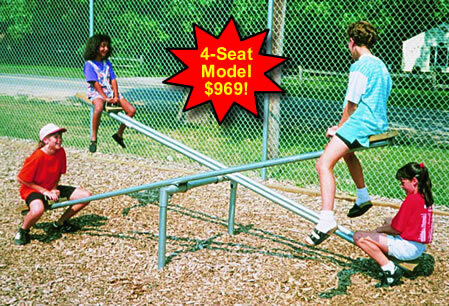 This sturdy see-saw structure comes in 5 different models: choose between 2, 4, 6, 8, or 12 seats. The frames of these see-saws are heavy duty, made from rust-resistant galvanized steel with 2-3/8″ outside diameter pipe supports. 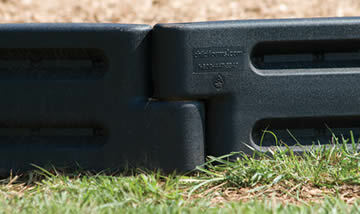 Each model of see-saw seating section is 12 feet long and has 1-7/8″ outside diameter rails. The fulcrums are sturdy and cannot be removed. The seats are made of plastic, so kids won’t be sitting directly on the metal surface. The seats of these seesaws are available in red, blue, green, or yellow. Also, the grip handles are plated. The perfect hybrid of see-saw action and spring technology, these teeter totters are made of high-quality steel tubing. The latest in spring toy fun! 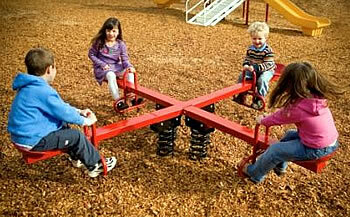 It’s a 4-way face-off as your children spring and bounce their friends on this 4-way teeter totter. Color: Available in powder-coated red only. Dimensions: 8’L x 8’W Use zone: 20’x20′ Weight: 207 lbs. Take the classic see-saw, add four bouncing springs, and let the fun start! This model avoids the pinching and trapping of traditional saws by using springs instead of a standard fulcrum. Dimensions: 96″L x 12″W Use zone: 13′ x 20′ Weight: 102 lbs. 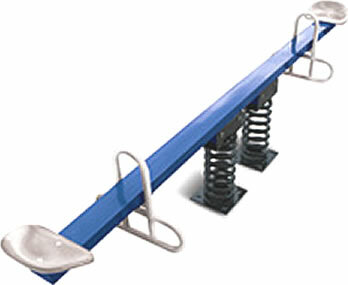 This 6′ spring teeter totter is best for younger children. It has 1 spring, letting smaller children rock back and forth with the same action as a spring animal toy. There are hand grips and footrests, too. 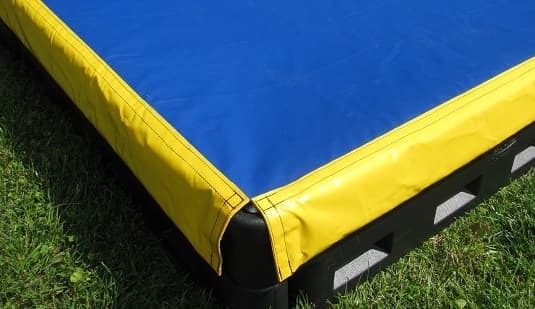 Use zone: 14′ x 18′ Weight: 131 lbs. Curious about the See-Saws? Call us TOLL FREE. 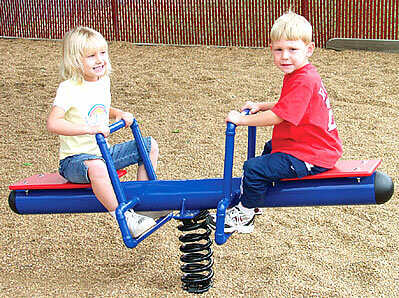 See-saws and teeter totters can be installed by our company in the MD – DC -VA area. Just phone us toll free and let us know where your play area is located, and we can give you an estimate.